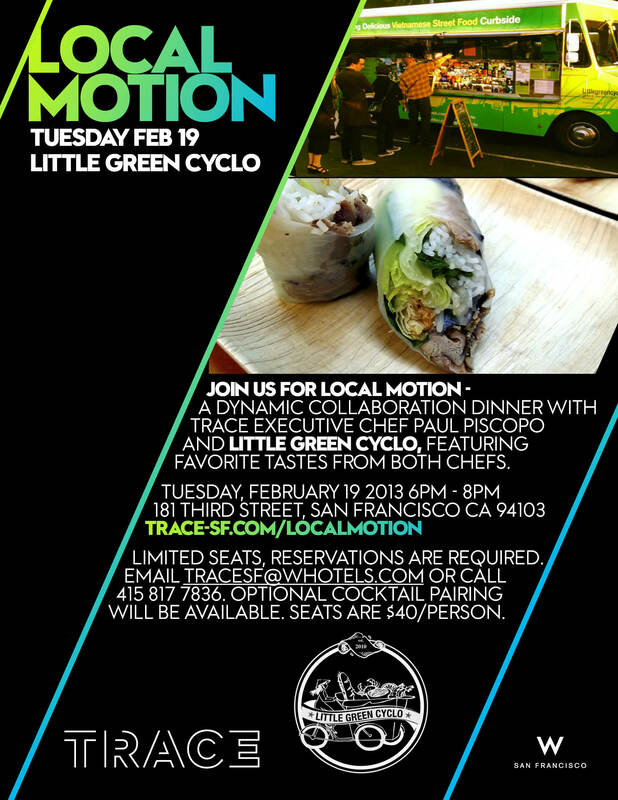 Local Motion, is a dynamic collaboration series of dinners between Trace’s Executive Chef Paul Piscopo and San Francisco’s favorite foodtrucks. 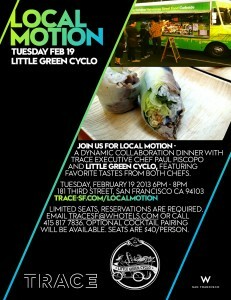 This months collaboration is with Chef Quynh Nguyen of Little Green Cyclo. 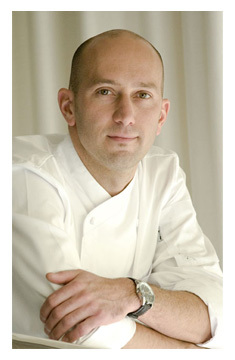 You can count on an amazing meal with custom tastes from both Zagat-rated chefs in a lively atmosphere. Gather around the raised dining table for an exquisitely designed and delivered meal of fresh, delicious, locally sourced foods amongst twenty guests from near and far. A true collaboration in all ways – enjoy lively conversation with fellow dinner guests and one on one chatter with the chefs themselves. Typical Little Green Cyclo menu items include truffle oil garlic noodles, banh mi, fresh spring rolls, rice vermicelli, coconut rice box, sweet potato tater tots and truffle oil garlic fries. Expect inspiration in the evening meal. or call 415 817 7836. Optional cocktail pairing will be available.